Mount Everest – perhaps the only mountain known by everyone, sporty or nerdy, adventurous or prudent. Being the highest mountain above sea level on Earth, many mountaineers mark conquering the 8,848m on their bucket list. The risk involved, however, is a setback for most people who wish to enjoy the picturesque Everest scenery. 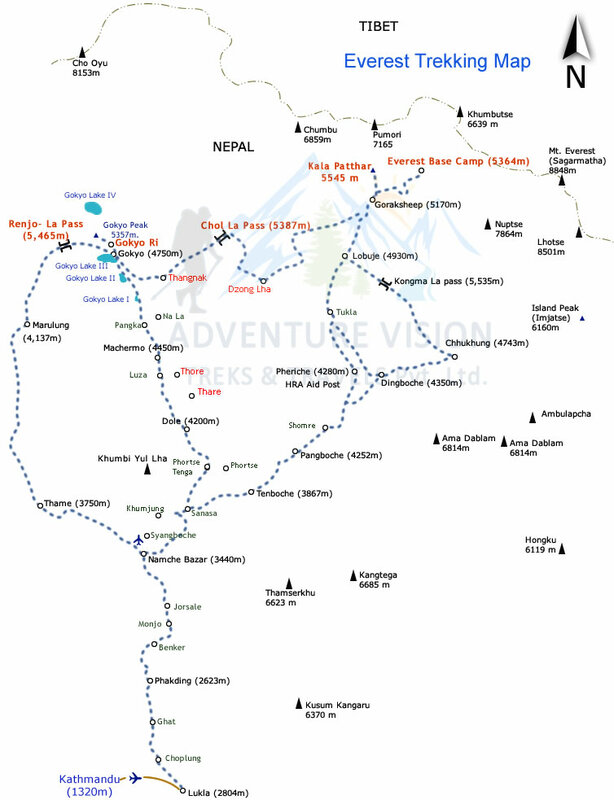 But now, there is a moderate alternative for common folks – The Everest Base Camp Trek. Trek to Everest base camp allows you to have the most sincere dialogue with both the nature and culture in Nepal. Besides featuring different world-wide famous mountains, including Mt. Khumbila, Nuptse, Khumbuste, Pumori and most importantly, the Everest, you can also have the chance to see the Khumbu Glacier and Icefall along the way. Even the most ordinary scenes – golden wheat fields swaying in the wind, blooming rhododendrons, lush forests with wild gentle animals – are worth to be framed and captured in camera. Throughout the trek, there are chances to stay in local Himalayan villages, visit monasteries or even observe religious rituals performed there. 15 days EBC trekking package also features the famous city – Kathmandu. Known as the “City of Temples”, Kathmandu can be said as the cradle of the civilization in Nepal. Used to be the capital of different kingdoms, this place contains lots of important cultural and historical sites. You will have the chance to unfold years of history of Nepal as we venture around the city. Generally speaking, the ideal Everest trekking season would be Spring (March - June) and Autumn (September – December). For Spring, with winter has just come to an end, the sky clear and the mountain tips covered by snow, it is a good choice for trekking in Everest . For hills above 3,500m, they would be all covered by snow as well. There may be short showers, yet most days are warm and sunny. Everest Base trekking in spring is suggested for you if you want to enjoy fully iced Everest in-front of your eye :). For Autumn, after the monsoon and before the cold sets in, this period is perfect to trek if you are looking for the panoramic view of the mountains. The sky is cloudless with lush plants shimmering under the gentle sunshine. Although the snow is less than that of the Spring season, Everest Base camp trek in autumn is best time for the crystal clear view. The temperature is perfect as well – not scorching hot during the day and durably cool at night. Autumn is also know by festival season in Nepal so, you can enjoy your Everest trip as well with festivals like Dashin, Tihar. Dashain is great festival of Nepali people. Everest base camp trekking in Autumn is suggested for you if you want to view clear crystal eye view of Everest including thousands of mountain peak in just a single trekking. Everest Base Camp trek is suitable for time-abundant trekking beginners who wish to unveil the beauty of Everest in a chill way. We also offer others treks of the Everest Region: the 8-day Everest Panorama Trek for trekking newbies, the 22-day Everest Base Camp Jiri Trek for advanced trekkers and the 15-day Gokyo Valley Trek. Day 02: Explore Kathmandu valley and prepare for the trek. After breakfast, enjoy a guided tour around Kathmandu valley. Experience the unique cultural vibes around Kathmandu valley through visiting various UNESCO sites including Swayambhunath, Patan Durbar Square and other landmarks of great historical significance. After tour, a briefing session will be given for a more in-depth understanding on the upcoming trek. Take a good rest at the hotel in Kathamandu. Early in the morning drive to Manthali (4 hours) Take Manthali to Lukla flight. With the airport perched on the side of a mountain, you can see rolling clouds on the surging peaks of mountains seemly within your reach. In contrast to the hustle and bustle Kathmandu, Lukla, the gateway of all treks in the Everest region, is enveloped with the tranquility of the Himalayas – a patch of blue sky with snow-tipped mountains furnishing the ground, the air crisp and the wind slight. From there, we start our trekking journey. Today’s trek is relatively short and easy - we trek for about 3 hours to Phakding. During the gradual descending path to Phakding, you would be surrounded by towering mountains and rolling hills. Enjoy the view of Mount Khumbila and Kusum Kangraru and stay overnight at the teahouse at Phakding. Today early morning after breakfast we trek from Gorak Shep, walking along the scenic route featuring the Everest, Lingtren and Changtse to Kalapatther for the sunrise. The journey of summit is of slow and steady pace, which you could also enjoy spectacular mountain views along the way. The sunrise is definitely a once-in-a-lifetime experience - you have the chance to see the sun coloring the whole sky with fiery red and orange, the whole world awakened by the little red ball gradually, with the tip of Everest tinged with the golden ray of light. Then, we descend to Pheriche and spend the night at teahouse. The whole trek of the day would be approximtely 7-8 hours. Day 14: Early morning scenic flight back to Kathmandu. Exploration day in Kathmandu valley.